Residents of Minnesota are eligible for a number of scholarships and grants to finance their education. Most of the grants will require a Free Application for Federal Student Aid (FAFSA) form to be filled out and filed. Funds from both public and private sources are available, and are listed below in that order. The Minnesota Academic Excellence Scholarship: This scholarship can provide partial or full tuition to Minnesota colleges and universities for academically oriented students. You must begin college in the same calendar year as your high school graduation. The program is limited to the following majors: English/Creative Writing, Math, Science, Foreign Language, Social Science. Contact the Minnesota college of your choice to apply. The scholarship is renewable up to three times if an academic standard is maintained. Minnesota Achieve Scholarship: This is an incentive program for Minnesota students who may have let their high school grades slip. By taking one of four selected sets of coursework, and receiving no lower than a C grade in any one course, $1200 or more may be available for college costs. You can apply online. Minnesota Indian Scholarship: Students who are a quarter or more Native American may qualify for funding to help with undergraduate or graduate studies. Complete the application online for free. Eligibility is otherwise the same as that for Pell Grants. This must be used at a Minnesota school. Educational Assistance for War Orphans: Students who lost a parent in the military due to a “service caused condition,” may be eligible for up to $750 annually. You must have been a Minnesota resident for two years before applying. War Orphans may also receive free tuition from the University of Minnesota and the Minnesota St.htate Colleges and Universities. Contact your school’s financial aid office. Veterans’ Dependents’ Assistance: If your parent was a prisoner of war or is missing in action, you may be able to receive tuition assistance at most Minnesota Colleges and Universities. Contact your school’s financial aid office. Minnesota State Grants: These are available to Minnesota college and university students who show financial need, particularly from middle to low income families. They are administered by the Minnesota Office of Higher Education. Many variables determine the amount of money available to a student, but grants up to $9000 a year are possible. Students must be enrolled for at least 3 credit hours, and must reapply each term or semester. Almost half of the awards go to students from families with incomes under $20,000 a year. They are for students who have not completed an undergraduate degree. Contact the financial aid office of the college of your choice. 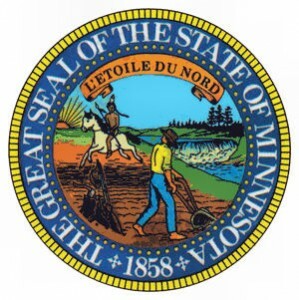 Minnesota Child Care Grant: If you are a Minnesota resident, attending a Minnesota school, and have children under the age of 12, you may be eligible to have some child care costs covered. There are various conditions attached to this grant. Public Safety Officer’s Survivor Grant: This can be awarded to a student under the age of 23 who is the child or surviving spouse of a public service officer killed in the line of duty. A maximum of about $10,000 may be given to an attendee of a four-year school. Contact the Minnesota Department of Public Safety for complete information. Alliss Opportunity Grant: Adults returning to school may apply to have one class and textbooks paid for at a Minnesota Community College. Apply at the admissions office. Grants for Dislocated Workers: Adults who have lost a job and need to improve or change their training may qualify. Call 888-GET-JOBS. Military Service Education Benefits: There are various funds available to veterans of any branch of the armed services. To help determine if you qualify, use the benefits flow chart, found here. Be sure to also check with the Minnesota Department of Veterans Affairs. Robert C. Byrd Honors Scholarship: This national scholarship awards high academic standing. Applicants must be nominated by their school principal, and there is a limit of one award per school for classes of less than 350 students. Two may be awarded in larger schools. Up to $1500 is available, renewable for up to four years. To apply, contact your high school principal. Pell Grants are available to almost all students whose annual family income is below $30,000. Applications are available at high schools and colleges. The actual amount awarded is based on a formula which considers family income, family size, the cost of the school selected and whether you plan to attend full or part time. SMART grant requirements are the same as Pell Grants, with some added stipulations. The acronym is Science and Mathematics Access to Retain Talent, and is for third and fourth year students in mathematics, engineering, science, technology, or a critical foreign language. Federal Academic Competitiveness Grants also use the same base requirements as the Pell Grants. However they are limited to students who completed a rigorous high school curriculum. To retain the grant a 3.0 or better GPA must be maintained in college. Supplemental Education Opportunity Grants are awarded to undergrad or vocational students who demonstrate a financial need. Pell Grant recipients are given priority. A student may receive up to $4000 a year, but the amount will be determined by the school, and the student’s need. Apply at the college financial aid office. Vouchers for Youth in Foster Care: College students between the ages of 16 and 23 may be eligible to have tuition covered if they have aged out of the foster care system. Up to $5000 a year is possible. Contact your school’s financial aid office. Minnesota offers a broad loan forgiveness program to repay student loans of health care providers who agree to serve in various specific areas for a certain time period. For information about all of the following programs, see the state’s website. Primary care in rural areas-Recipients must commit to work for three to four years, almost full time, in Pediatric, Family Practice, Internal Medicine, Psychiatric, or OB/GYN. There are designated areas of Minnesota which qualify as rural. You must apply during your residency year. Primary care in urban areas- Recipients must commit to work for three to four years, almost full time, in Pediatric, Family Practice, Internal Medicine, Psychiatric, or OB/GYN. There are designated urban areas considered to be under-served or to have a shortage of medical care. You must apply during your residency year. Mid-level care or Pharmacists in rural areas- Approximately the same guidelines as above, but for Nurse Practitioners, Physician’s Assistants, Certified Nurse Midwives, Nurse Anesthetist &amp; Advanced Clinical Nurse Specialists, and Pharmacists. Nursing home care- For registered Nurses and Licensed Practical Nurses who work three to four years in a licensed nursing home or intermediate care facility. Students must apply while completing a licensure preparing nurse program. Dentists serving in public programs- Similar to the above programs but dentists agree that at least 25 percent of their patients, annually, will be enrolled in a state public program or eligible for Minnesota sliding fees. Application must be made while completing dental school or residency training. Health field teachers- This is open to those training to be allied health care instructors, who will teach at least 12 credit hours for three-four years. This must be in a Minnesota postsecondary program. You must apply while completing a masters or doctoral program. There are over 500 privately funded scholarships available to Minnesota postsecondary students. General categories of private scholarships include the fields of athletics, arts, agriculture, medical and dental technicians and nursing, sciences of various kinds , business, nutrition, construction, social sciences, engineering, education, landscaping, food services, political science, teaching, theater, journalism, and more general disciplines as well. Others base eligibility on academic excellence or minority status, but are not particular to one discipline. Many of these scholarships are available for use at only one college or university. However, it is always wise to look into options which are specific to the school of your choice. Several examples which may be used at more than one school are listed. Evelyn Lenander Education Fund Scholarship: Up to $2500 a year may be awarded to third and fourth year students of Elementary Education. Minnesota residence and attendance at a Minnesota college is required. A minimum 3.0 GPA is needed, community service is considered. Buffalo Lake area residents are given priority. See more at communitygiving.org. General Mills Tribal Scholarship: American Indian or Native Alaskans enrolled in a tribal college may be eligible for up to $2500 a year. Financial need, academic achievement and community service are considered. See more at collegefund.org. Hubert H. Humphrey Memorial Award: High school seniors who are members or dependents of members of the Minnesota AFL-CIO may apply to receive up to $1000 a year to attend a Minnesota college or university. Minimum 3.0 GPA required. See more at mnaflcio.org. A related scholarship is the Martin Duffy Adult Learner Scholarship for undergraduates or graduate students who are members of the Minnesota AFL-CIO. Four $500 scholarships a year are awarded. Northern Minnesota Builders’ Association: High school students who have attended one of a list of northern Minnesota high schools may apply for up to $500 a year to study at a Minnesota college or vocational school, with plans to enter the building trades. See more at gracf.org. Heart Research Intern Scholarships: Up to $1800 is available from the Northwest Airlines Pilots’ Wives Club, to Minnesota resident undergrads attending a Minnesota college, for a summer internship in cardiovascular research. The Veterans of Foreign Wars offer a similar program at the $1270 level. See more at americanheart.org. Operation Jumpstart III Scholarships: These are large awards, up to $10,000 for minority students (Asian-American, Hispanic American, African-American, or Native-American) who are juniors, seniors or graduate students at an approved university. See more at aaaa.org. Horatio Alger Minnesota Scholarships: Up to $4000 a year may be awarded to a student from the following counties: Anoka, Carver, Dakota, Hennepin, Ramsey, Scott, or Washington. Students must have critical financial need, and plan to attend college full time. See more at horatioalger.com. Adoption Option Scholarship: This is for birth mothers who have placed a child for adoption. Up to $4000 is awarded one time to continue with postsecondary education. See more at Aoci.Org. Lilly Lorenzen Scholarships: These awards promote study of the Swedish language. Applicants must speak Swedish and must be focused on Swedish studies. Up to $2500 awarded. See more at americanswedishinst.org. MAC Louisa Bowen Memorial Scholarships: These are for graduate students in archival administration, and are $750 a year. Applicants must have a GPA of 3.0. Selection is based on merit. See more at midwestarchives.org. 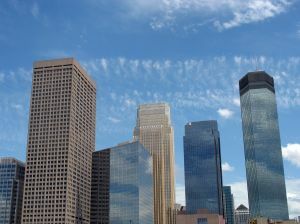 Minnesota Association of Public Accountant Scholarships: Students entering their junior year and majoring in accounting, with a GPA of 2.5 or better may apply for aid. See more at mapa-mn.com. Minnesota GLBT Educational Fund: Applicants must be gay or lesbian attending a Minnesota college. Awards are from $1000- $2000. Minnesota Health Information Management Association Scholarships: Applicants must have completed an accredited Health Information Technology or Health Information Management program; and must be in graduate studied related to Health Information Management. See more at mnhima.org. Minnesota Power Community Involvement Scholarships: Any high school student whose residence area is served by Minnesota Power may apply to receive a one-time award of $2000. Both financial need and community service are considered. See more at dsacommunityfoundation.com. UJFC and Council of St. Paul Annual Scholarships: Applicants must be Jewish and Minnesota residents. Financial need and academic excellence are considered. See more at twincities.ujcfedweb.org. Upper Midwest Human Rights Fellowship Program: Funding for expenses of a practical fellowship in the area of human rights. $1,000-$4,500 can be used for transportation, lodging, and food expenses. The primary selection criteria are a commitment to and promotion of international human rights. See more at www1.umn.edu/twincities. Frito-Lay, Inc. Scholarships: Students attending an approved school studying Food Science or Food Technology, with a minimum 3.0 GPA may be eligible for up to $2500 annually. Malt-O-Meal Company Scholarships: Future Farmers of America members who plan to study Agriculture, Food Science, Food Technology, or Business at a Minnesota college or university may apply to receive $1000 for one year. Gerber Endowment in Pediatric Nutrition Scholarship: Students attending an approved school studying Food Science, Food Technology, or Nutrition, with an emphasis on pediatrics, may be eligible for up to $3000 annually. There are a great many ways for college students in Minnesota to receive financial assistance. It is always a wise practice to check with both your high school guidance office before applying to college, and also with the financial aid office at the college/university of your choice. Although, through in internet, it is possible to find information about most types of grants, scholarships and awards, there still might be other funds available. For example, a local garden club might pay for textbooks for a botany student. While such an award might not be huge, it is often such incidental expenses which can be a great burden to financially insecure students. In short, always continue to research possibilities for financial aid. Minnesota students have a wealth of choices available. Any student who seriously wishes to attend college and applies him or herself, should be able to find some assistance. Are there any Grants or Scholarships available for someone entering the English/Creative Writing major? It would be GREATLY APPRECIATED!!! do you have anything that is for vet tech or moms that are going back to school?